1. Proctor resigns: Bill Wagner at The (Annapolis, Md.) 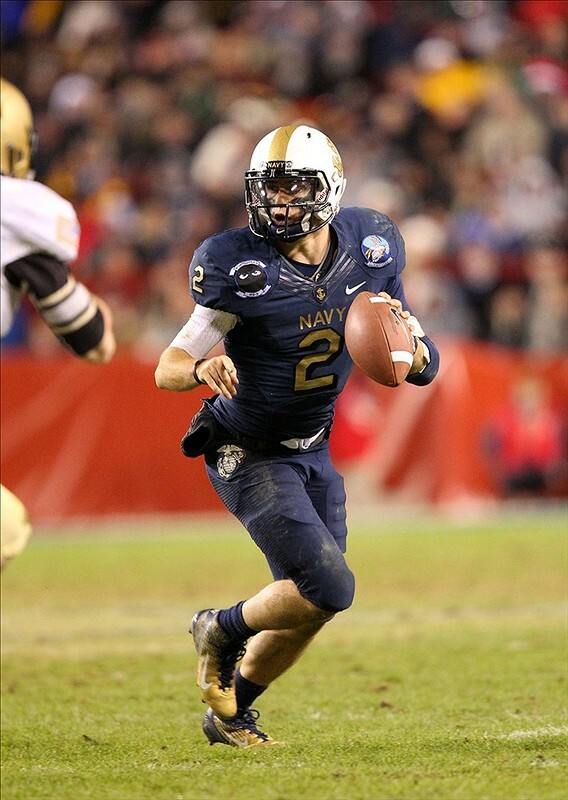 Capital broke the news yesterday — Navy quarterback Kriss Proctor, who finished his senior season with a win over Army in December, has resigned from the Naval Academy and will not graduate. The resignation hasn’t been accepted, according to the report, but it likely will be, and was reportedly triggered by an alleged honor code violation. 2. Falcon free agents: Frank Schwab at The (Colorado Springs, Colo.) Gazette brings better news, reporting on the pro football dreams of Air Force receiver Jonathan Warzeka and safety Jon Davis. Don’t expect to hear either name during NFL draft coverage, but both hope they’ll get a look as free agents despite the service commitment that comes with an academy education. Warzeka tied for the team lead with 31 receptions and caught four touchdowns while also handling kick return duties, racking up 254 rushing yards and throwing a touchdown pass. Davis had a team-best four interceptions and was second in tackles with 94. 3. Byers’ medal hunt: From Tim Hipps of Army Installation Management Command public affairs (via TheMat.com) comes this story about Army Sgt. 1st Class Dremiel Byers, who will attempt to make his second U.S. Olympic team this weekend. Byers has owned the 120-pound Greco-Roman wrestling division for years — a 10-time national champion who’s earned gold, silver and bronze at the world championships. Byers opens up about the Olympic medal he promised his grandfather, along with his thoughts on the return of Rulon Gardner, his time with the Army’s World Class Athlete Program and his career plans beyond the London games. Byers, 37, won’t have to participate in the Olympic qualifier tournament on Saturday in Iowa City; he will meet the winner of that event Saturday night in a best-of-three showdown for the Olympic berth. Gardner will attempt to make weight on Friday.